Studio Manager 15 is Coming this Month! I’m writing on December 7 just to make sure if you come by you realize we have a new version in the wings. 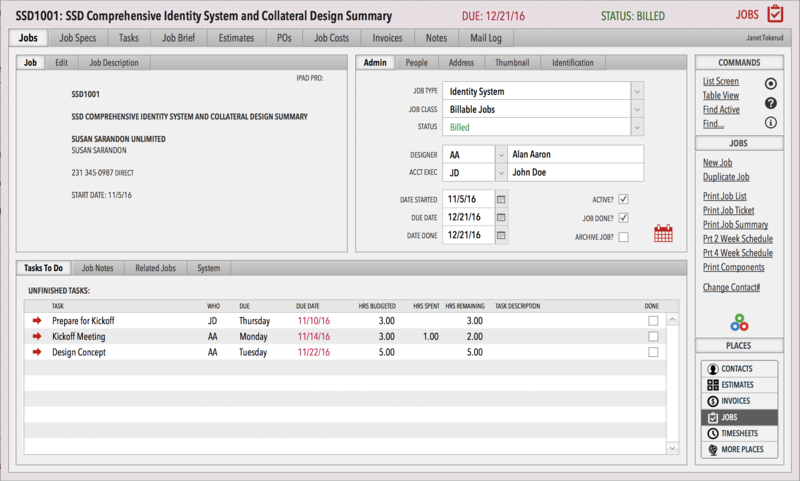 Studio Manager 15 runs fast and beautifully on FileMaker 15 and works well on 14 too. We haven’t tested it on 13, so you should do your own testing using our free full-function demo if that’s what you want to run on. I’ve been busy of late and haven’t written up my love for FileMaker Pro 15 (and Go 15), but will slip a glowing report in here. It’s excellent. FileMaker has gone into an annual upgrade cycle to match up better with Apple’s aggressive annual iOS and MacOS upgrade schedule. FileMaker 15 is an extremely robust and powerful version of FileMaker that allows us to work faster and better in our development work. 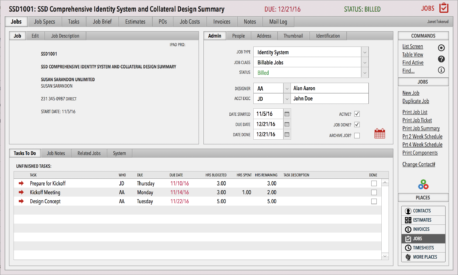 While FileMaker 14 had whizzy end-user features, FM15 consolidates those user interface gains and attends to the backend. Aggressive Improvements in security, topping what’s already been done in recent releases. Faster performance and more responsiveness. Better scripting environment (see below). FileMaker Cloud which lets you have FileMaker Server in the Amazon (AWS) cloud and not have a server in your shop. Since the giant upgrade in FileMaker Pro 12, the biggest improvement in FileMaker has been a giant overhaul of user interface tools. We were waiting for it and have jumped all over these tools to greatly improve the UI of Studio Manager. We now have themes, styles, states, svg graphics instead of images, button bars, icons anywhere we want in buttons. 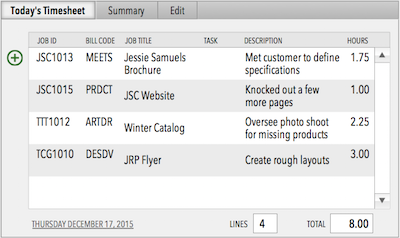 FileMaker’s gains in these releases allowed us to make SM15 beautiful, fun and efficient. Scripting got a big boost in 14 and 15. All sorts of instant stuff that lets me manage, auto-fill, search and narrow the view to just what I need to do great automation that works reliably and lets me quickly change, extend and maintain Studio Manager. For instance, FM15 scripting turns any errors red on the screen so even if you aren’t looking for a problem, you find it. Please don’t forget that Studio Manager 15 and its predecessors are extremely customizable. FileMaker Pro is not like other development environments. It is not like web development or coding an iPhone app. You can easily tweak Studio Manager to make it sing your song the way you need it in your shop! Don’t settle for less. Make the user interface even more engaging and transparent. We got out our trusty fine tooth comb and made layouts better than ever and made sure everything runs great in FileMaker Pro 15. Streamline the product for performance. See item 3. Test the product thoroughly as we changed things and fixed or changed anything we thought could be better. Rewrite the manuals again. The advantage of our holding out and continuing to write searchable documentation via PDF is that as we go through the previous manual, and every square inch of the product, we find things to fix, improve or add. We get new ideas. Please go straight to the Tour tab above and click on the sections of Studio Manager you are interested in. There are dedicated web pages for lots of different things like timesheets, invoices, scheduling and much more. Be sure to click on the small screenshots to see them full size. Don’t hesitate to ask me questions. We can do a Skype or Go to Meeting or Teamviewer screensharing session if you want one to help you decide if Studio Manager 15 is a good fit for your firm or work group. Text or call me on my iPhone (415 272-8563) or Email me and get your questions answered. Don’t settle for Excel spreadsheets or some limited and inflexible solution for running your business. Next post: Studio Manager 15 is Out!